The NHL in recent years has been the second priciest ticket of the four major North American sports leagues. Lower national television revenues than other leagues and fiercely loyal hockey fans combine to keep ticket prices high. 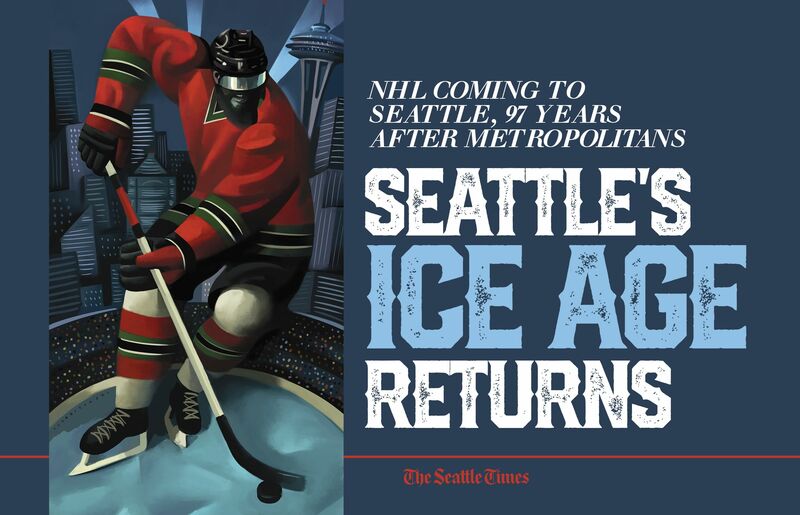 Better check your bank balance before splurging on tickets to see Seattle’s new NHL team. The official announcement this week that the league’s 32nd team will launch at KeyArena in October 2021 could be followed next year by the actual sale of season tickets. The NHL Seattle group collected 33,000 season ticket deposits of $500 and $1,000 last March and has been renovating space at Seattle Center to use as a showroom for seat locations that should open next month. Still, pricing for those seats won’t be revealed until later than that and is bound to surprise some fans. The NHL is among the priciest tickets in team sports, partly because the league lacks national television deals as lucrative as the other “Big Four’’ circuits and is more reliant on gate revenue. But Jesse Lawrence, president of TicketIQ, a New York-based ticket aggregating and resale company that tracks 90 percent of secondary market listings, says the high prices are also due to the loyalty of NHL fans. According to Ticket IQ aggregation software, the average NHL ticket asking price at the start of the current season across the secondary market was $151. That was about 2½ times pricier than the average Major League Baseball ticket asking price of $64 this past season. The Vegas Golden Knights, in their second year in the league and coming off a Stanley Cup final appearance, had the second-highest average list price at $271. That’s a jump from last season’s $161 average for the Knights, who ranked 11th of 31 teams in ticket listing prices their first year. The Toronto Maple Leafs again have the league’s highest asking price at $332 after finishing last season atop the NHL at $317. As for the actual sales price of tickets — which TicketIQ doesn’t track nationally — Chris Leyden, a spokesman for secondary market giant SeatGeek, says the NHL for years has trailed only the National Football League in cost. SeatGeek figures from last season show the average NHL ticket sold on its platform for $91, compared to $88 for NBA games, $45 for MLB and $166 for the NFL. And it isn’t just loyal home fans driving NHL prices higher than in other leagues. Prices also soar when teams from the NHL’s pre-1967-68 “Original Six’’ era — the Chicago Blackhawks, New York Rangers, Detroit Red Wings, Montreal Canadiens, Toronto Maple Leafs and Boston Bruins — visit opposing cities. These teams have fiercely loyal followings maintained for decades even as fans moved from those cities and migrated elsewhere across North America. Those fans — and their children and grandchildren — pass those loyalties onward and maintain them even when their current cities have NHL teams of their own. A study last year by sports merchandising company Fanatics found fanbases of Original Six franchises among the league’s 10 most loyal in terms of arena occupancy, social media following and jersey sales. So, when an “Original Six’’ team shows up in any NHL city, ticket demand and pricing jumps. Forbes released a study this year, based off SeatGeek ticketing data from 2013-17, of the top-10 sports teams that drive up prices in cities they visit. Three of those were NHL teams, tied with the NFL for the most on the list. The No. 6 Chicago Blackhawks drove up prices by 68 percent, the No. 9 Pittsburgh Penguins by 49 percent and the No. 10 New York Rangers by 33 percent. 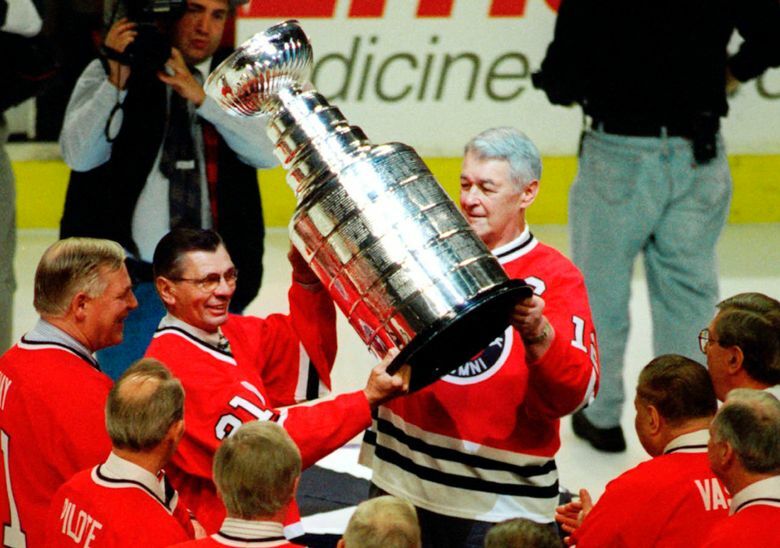 The Rangers and Blackhawks are “Original Six’’ teams while Pittsburgh won the Stanley Cup twice during the surveyed period. Vegas ticket prices on the secondary market were vastly impacted by opposing fans, some of which at times seemed to out-cheer the Knights at their T-Mobile Arena home games last season. Those visiting fans were largely tourists, while Seattle could similarly be impacted pricing-wise by tech industry transplants recently relocated here from New York, Chicago, Pittsburgh, the Bay Area and elsewhere. Also, nearby Vancouver, B.C., is home not only to Canucks fans, but transplanted supporters of the six other Canadian teams. Scores of native Vancouverites and their families also remain loyal to the Maple Leafs and Canadiens from the Original Six era predating the Canucks, which is why it’s common for Rogers Arena to be half-full of opposing fans when either of those teams visits. As hockey is considered Canada’s national game, those fans are often willing to pay more for NHL seats. And Seattle’s proximity to Vancouver will provide an easy gateway for them to attend games here and drive up prices. So, getting a discount off the single-game price by buying season tickets on the primary market from the team itself could be more palatable for some fans. But if the Knights are any indication, those season tickets will still be a pricey endeavor. When they invited fans to purchase 2017-18 season tickets at an open house, some invitees posted photographs of the team’s pricing scheme online. Back then, the Knights were charging $85 per game over 43 home contests for the cheapest lower bowl season tickets and $25 for the least expensive upper bowl seats. That’s a season commitment of $1,075 on the low end and $9,275 on the high. Want VIP seating? That’s $350 to $400 in the lower bowl ($15,050 to $17,200 over a full season) and $65 to $75 in the upper ($2,795 to $3,225 over 43 games). Breaking it down further, sitting anywhere between the two blue lines cost $215 per game in the lower bowl and between $50 and $60 in the arena’s upper deck. Lower bowl tickets from the blue line to the faceoff circle were between $110 and $125 while similar upper deck seating was $50 to $55. Corner rink seats were $95 to $105 per game in the lower bowl and $35 to $40 in the upper deck. And lower bowl seats directly behind the net were $85 to $105 while uppers were $25-to-$40. So, anybody seeking two lower-bowl season tickets not in the corners or behind the net faced a minimum yearly tab of $9,460. And that was before the Knights raised this year’s prices $5 to $15 per seat per game plus a $3 “facility improvement fee’’ for an arena only two years old. Will Seattle’s expansion team have similar pricing? No one is saying just yet, but there’s a strong chance a squad that begins play at KeyArena in 2021 won’t be selling cheaper seats than the Vegas franchise that will have started four years earlier.